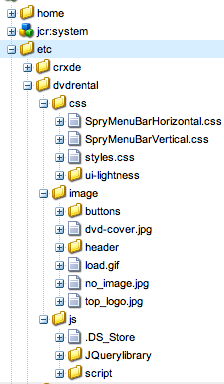 I am using Jquery as JS library for this project. One powerful feature of CRX is everything is stored in repository, Which is /etc/dvdretnal in our case. This approach might not be useful if you want to include only js file to a page. But this is just to show how powerful CRX can be.